We are situated a hop away from Pittville Park, a skip away from the town centre and a jump across from the Evesham Road carpark. 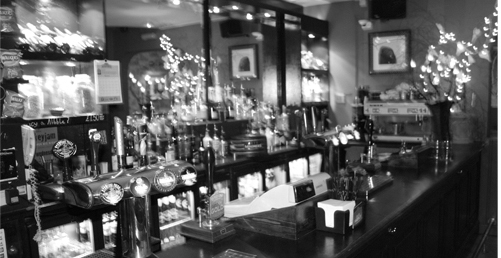 We combine a trendy daytime café where everybody is welcome with a traditional pub by the evening. We serve food and drinks from 11am until late everyday. Daily newspapers, pool table, table footy, numerous TV’s (showing all sports available) and free wireless internet access a lively atmosphere lovely staff and good music. We have a good range of cask ales and enjoy supporting local breweries and trying out the new tipples on the market. Every night pints are a £1 with any pizza!